This hole provides a fittingly formidable finish to the front nine. The tee shot needs to favour the right half of the fairway as the fairway slopes right to left towards the out of bounds. A fairly flat green is cut into the slope so a premium is placed on hitting the green. 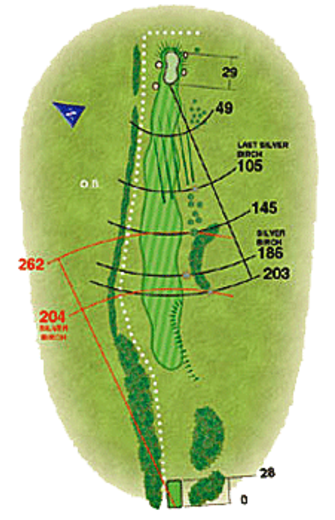 A short approach shot is better than long because the ground slopes away towards out of bounds.